Advantage Collision Inc in Saskatoon will take care of your vehicle, restoring it to the way it was before the accident, or better. We work with all makes and models, both import and domestic. Our journeyman technicians and high quality parts allow us to provide refinishing, frame repair, mechanical repairs, windshield replacement, chip repair, and dent repair. If your car has suffered hail damage, we work with that as well, accepting all SGI claims. We’ve been repairing vehicles since 1996 and in 2010; we received the Better Business Bureau Torch Award. For fast, friendly, and affordable service that will get you back on the road. Contact Advantage Collision Today. We are an SGI Accredited repair shop. 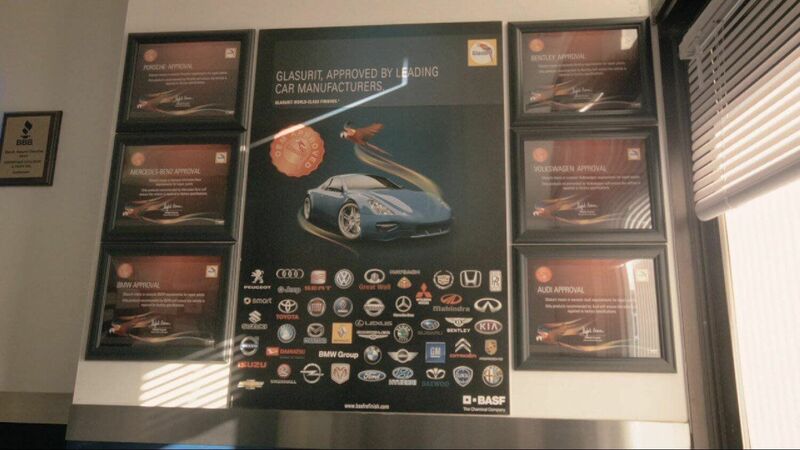 That means that we have been approved to repair all SGI claims for auto body collision repair. This includes body repair and paint, glass replacement and stone chip repair, frame and suspension repair and paint-less dent repair for hail damage.